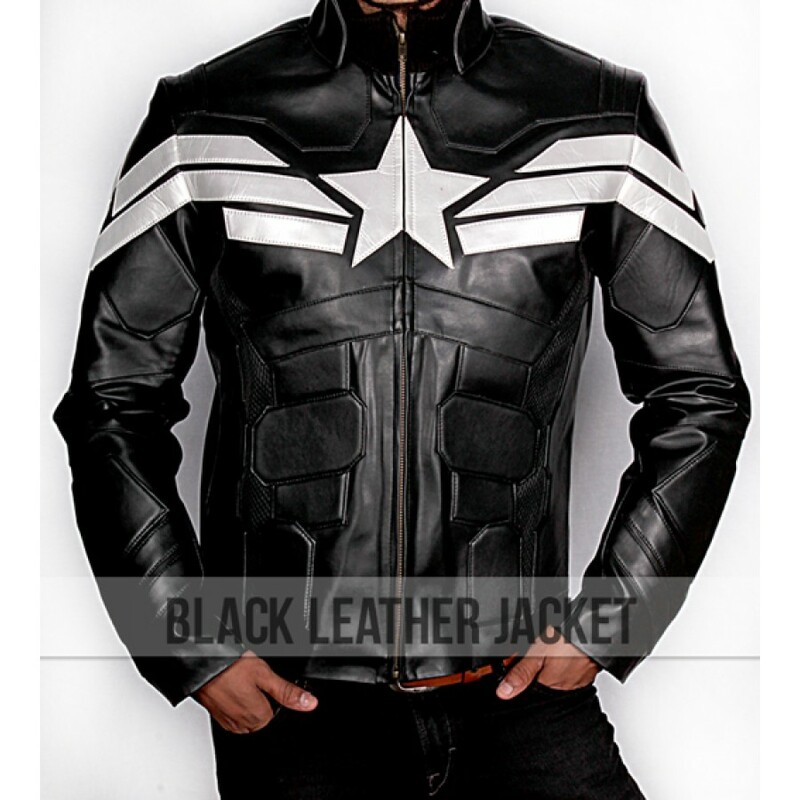 This Captain America The Winter Soldier Jacket is a direct revelation brought to life with craftsmanship that promises a getup endorsement. 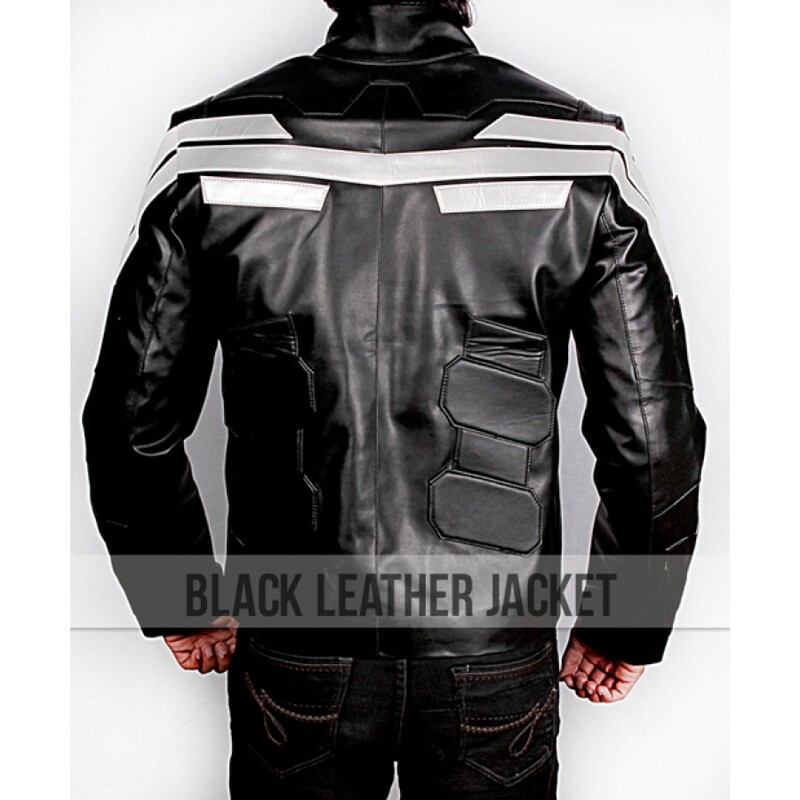 This outerwear was worn in The Winter Soldier as well as Avengers Endgame, and became known as the stealth suit. 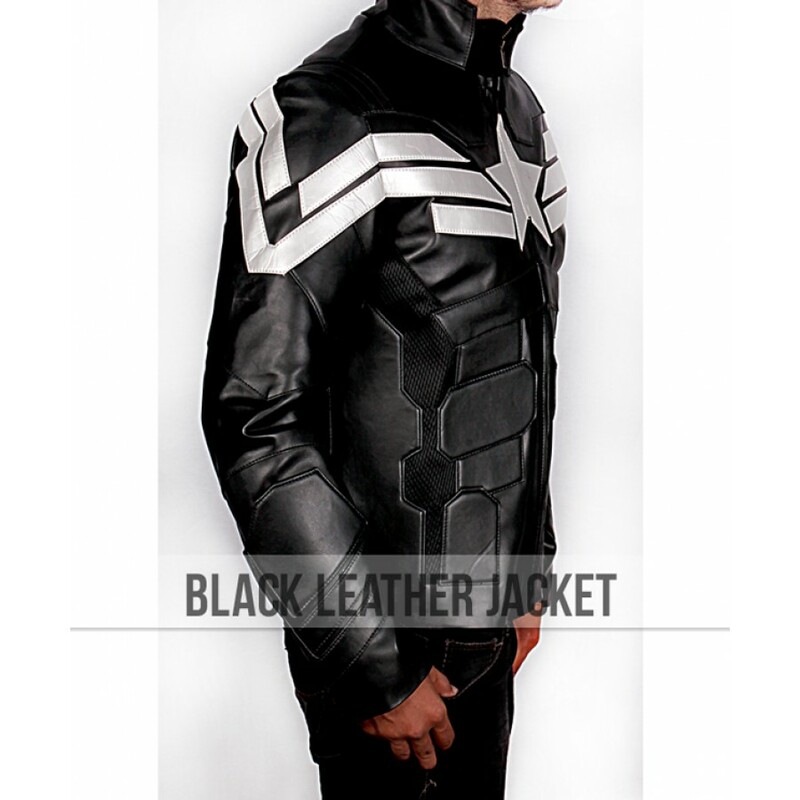 The front is covered with a logo star surrounded by linear intrigues in the white shade that brilliantly decorates this Captain America The Winter Soldier Black Jacket. 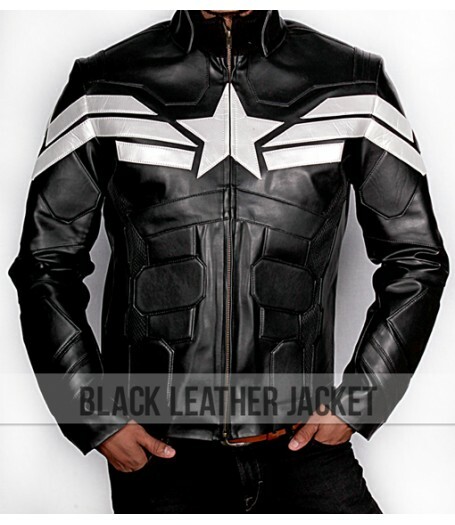 Moreover, the stitch maneuverings are deep-rooted settling to yearly hold-ups of gearing and qualifying this Captain America Black Jacket for the best superhero fit at a pocket-friendly sum tag. 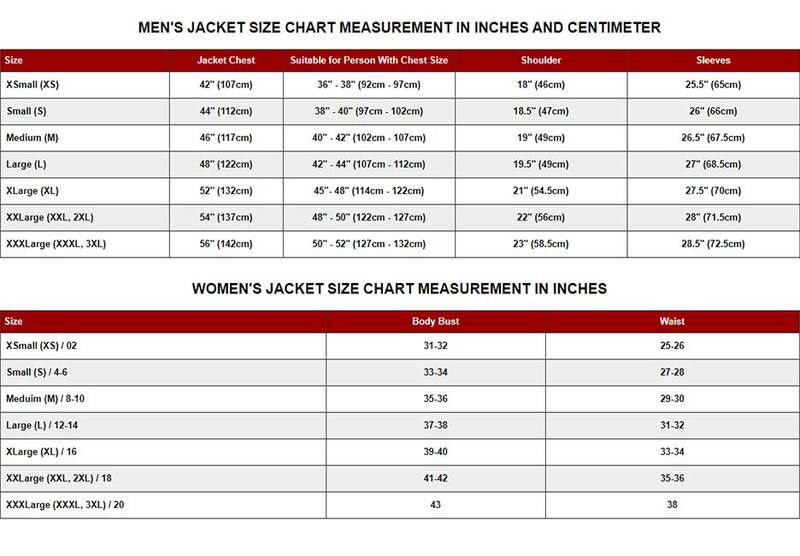 Attire that comprises A-OK credentials with first-rate replica rendition tenure.